The Sasagawa Nagare Steamboat in Murakami City, Niigata Pref is a sightseeing boat where you can enjoy feeding seagulls. 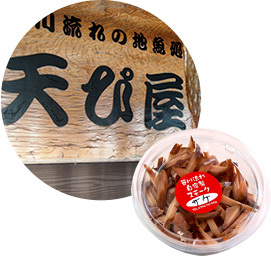 You can also buy souvenirs such as smoked fresh seafood and sun dried fish. 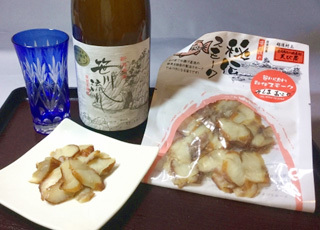 We smoke salmon, mackerel and medium-sized gizzard shad hauled in from the Sasagawa Nagare on the Sea of Japan, using our own method with oak and cherry tree chips. 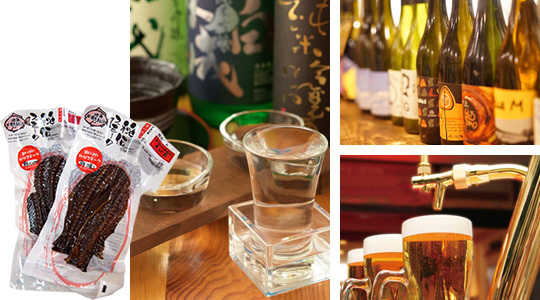 Excellent products suitable for enjoying with all drinks, including wine, beer and sake. A good taste overflows in your mouth as you keep on chewing. You will love it for the rest of your life. 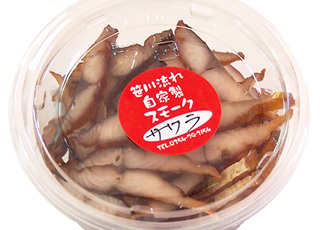 This is a popular souvenir that many people buy again and again. 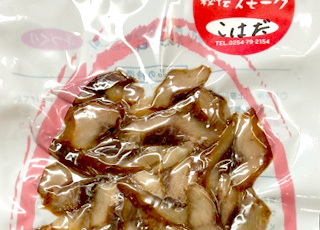 Sasagawa Nagare’s secret smoked fish has many varieties. We strongly recommend comparing the fish varieties and each flavor and texture. Please note that the fish may change depending on the season. Fresh salmon milt is smoked. You will become addicted to the black pepper accent and the subtle texture. 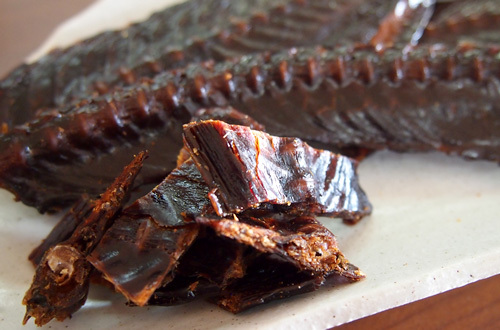 Salmon backbone is also seasoned and smoked. 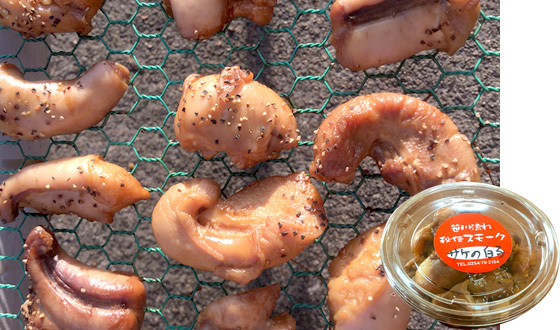 You can eat the bones, too. Rich in calcium. 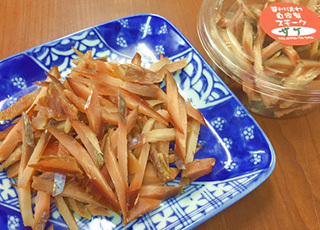 Since fish change from season to season, there are gems you can eat only at the moment. 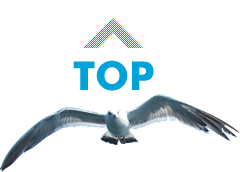 The Sasagawa Nagare Steamboat in Murakami City, Niigata Prefecture is a sightseeing boat where you can enjoy feeding seagulls. 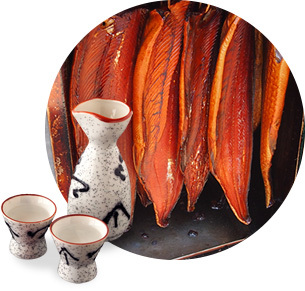 You can also buy souvenirs such as smoked fresh seafood and sun dried fish.